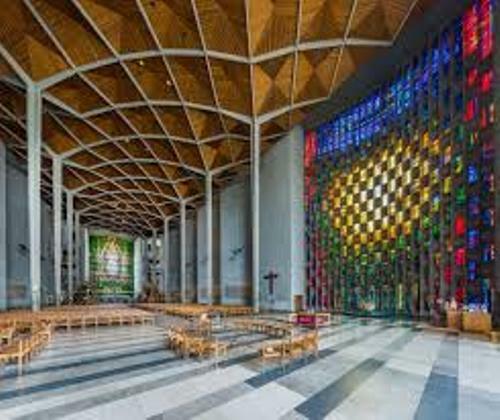 Do you know the current dean and bishop for Coventry Cathedral? John Witcombe serves as the current dean. Christopher Cocksworth takes the seat as Bishop of Coventry. He is the ninth bishop. 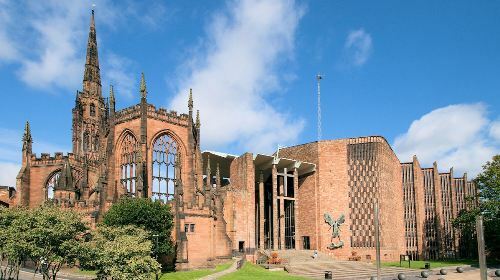 Facts about Coventry Cathedral 2: how many cathedrals does the city have? There are three cathedrals that Coventry has. St Mary’s is the first cathedral in the city. Now this monastic building is only a ruin. St Michael’s is the second one. At first, it was established as a church in 14th century. The building was made in gothic style. During the World War II, it was bombed. The new St Michael’s Cathedral is considered as the third cathedral. During Coventry Blitz in the Second World War, St Michael’s was bombed and ruined by the German air force on November 14, 1940. Get facts about Coventry Blitz here. The surviving elements of St Michael’s after it was bombed were the tomb of the first bishop Huyshe Yeatman-Biggs, the bronze effigy, the outer wall, spire and tower. Do you know the height of St Michael’s spire? It stands at 295 feet or 90 meter. In Coventry, it takes the record as the tallest structure. In England, it is the third tallest structure. Next to the ruins of the old St Michael’s, you can spot the current St Michael’s Cathedral. John Laing built this building. 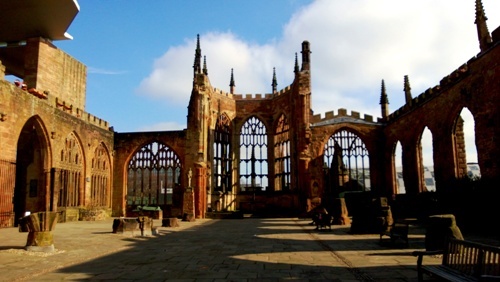 Check facts about Coventry here. Basil Spence and Arup designed St Michael’s Cathedral. Spence appeared as a winner in a design competition in 1950. The new building located next to the old one presents the unified look. The element of unity can be found on the usage of Hollington sandstone in the new building. 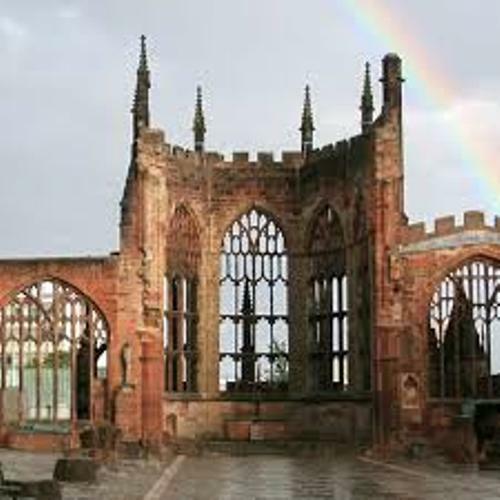 On 23rd March 1956, Elizabeth II laid the first foundation stone on the Coventry cathedral. Graham Sutherland designed the huge tapestry of Christ for decorating the interior of St Michael’s cathedral. 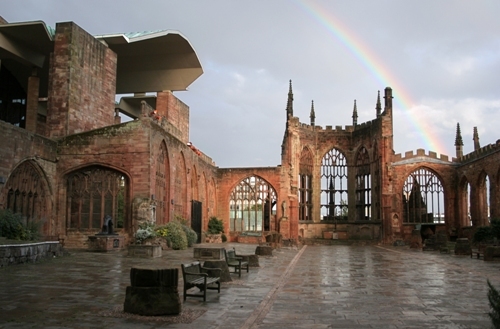 Do you enjoy reading facts about Coventry Cathedral?